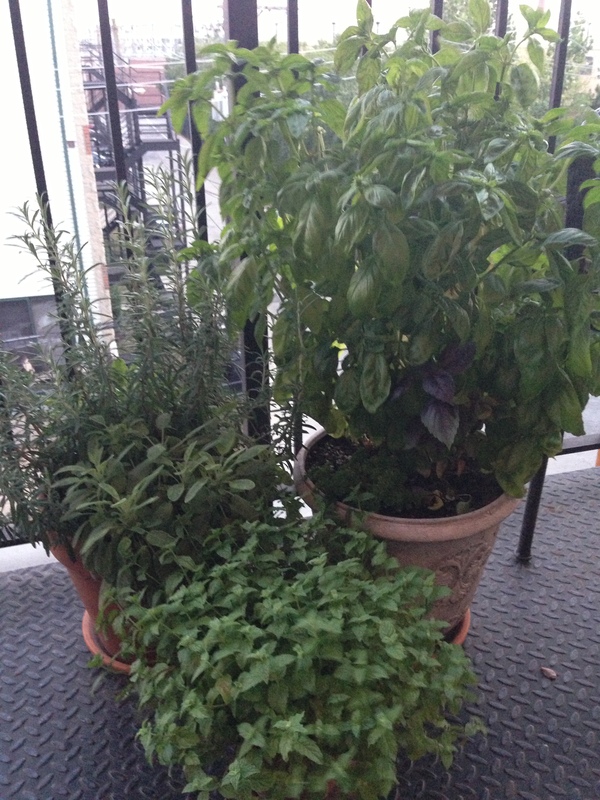 For the first herb in the herb series I feel compelled to pick Basil. It is easy to grow, packs a big punch, and generally is an approachable herb to both grow and use. I have found however that most people do not have a clue as to how to grow basil and how to keep it up for a summer of use. 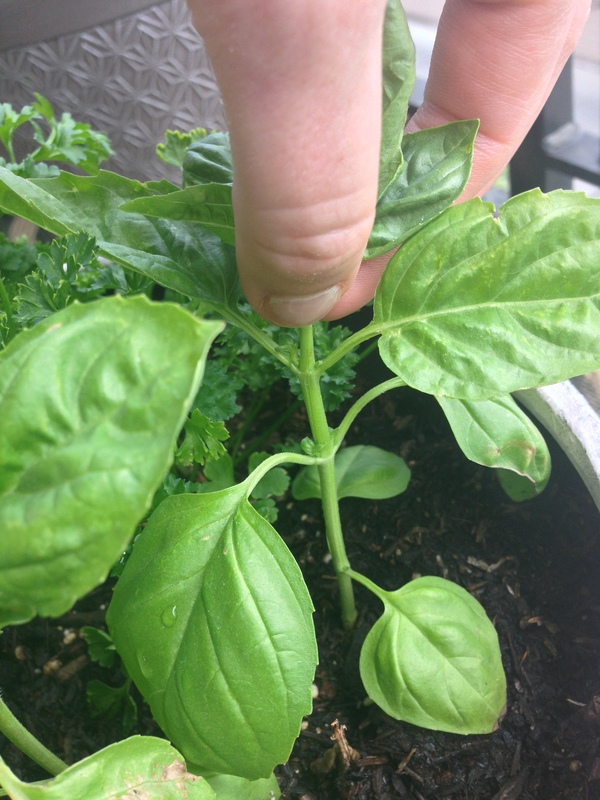 I cringe every time I hear someone say in May (or ever really) that their basil is already flowering, or that they were so excited to pick off one or two huge leaves from the bottom of the plant. When you are growing herbs, it is always important to cut them so the plant is stronger from the harvest, not weaker. With basil this is so easy to do and easy to mess up. 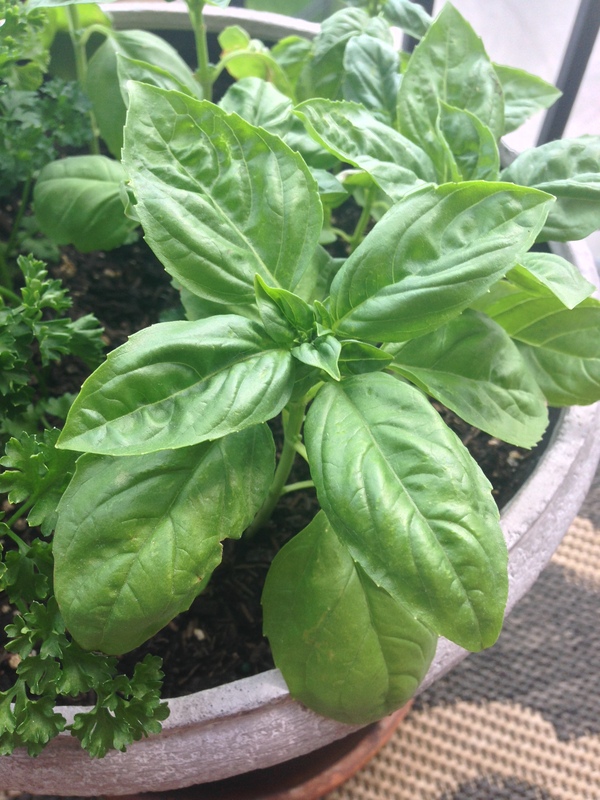 There are may varieties of basil, I have always stuck with the traditional sweet basil that is commonly found in Italian cooking. The plant is fast growing, enjoys high heat and lots of water and sunlight. Basil is also a bit finicky, if it starts to dry out the leaves will quickly start to wilt and droop (in the matter of a day or hours). But don’t worry, it will respond quickly to a good watering. If you don’t get a lot of sunlight, or notice the temperature dropping too sharply at night time you may want to change the location of your plant or bring it in for night time early in the season. Basil is actually a tropical plant, so northern cold temperatures and shade are not going to result in much bounty. Believe it or not this top picture is my basil about a week after planting. I put them outside and the wind and cold really wilted and damaged the plants. I had to stake them up to keep them from drooping all the way over. With careful watering, protection from the high winds, and sunlight they turned into the picture below in just 2 more weeks. 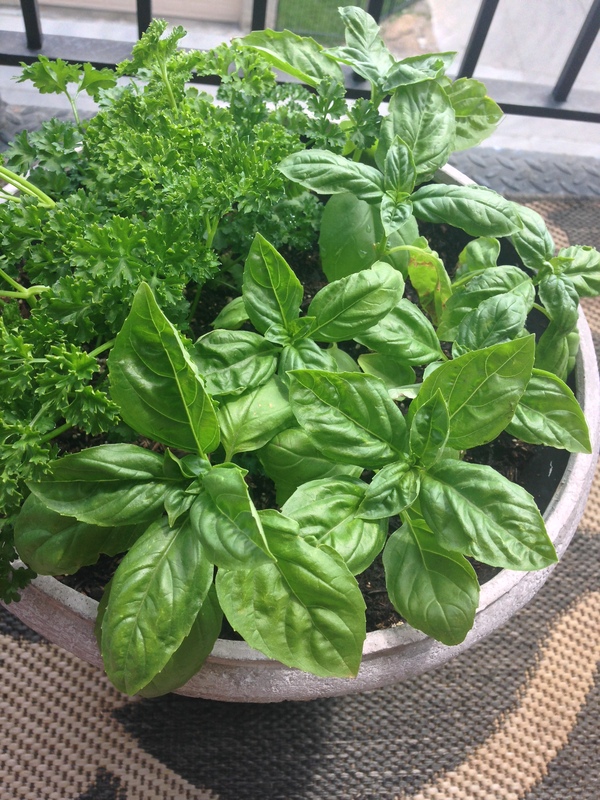 Some ways to retain moisture without opening the door to fungus or mold (which basil can be prone to) are to put a layer of mulch around your plants and be sure to not over crowd the plants when you have several in a pot. It’s also important to water at the base of the plant, don’t get the leaves all wet. On a hot sunny day the water on basil leaves can actually damage the fragile leaves. When it comes to picking your basil for use, be sure to avoid picking the biggest yummiest looking leaves from the bottom of the plant. Those leaves are the primary solar panels that are powering your plant. If you pull them off you risk losing the entire plant, especially if it is young. You always want to pick by pinching off from the top 1 to 2 inches of growth just above a split. You will find that once you do this, you will get two big shoots out of the joint you picked above and essentially will double the growth. When this grows up high enough you can do the same thing to this new growth…this is how you get a basil plant that is 1-2 feet high and bushy. 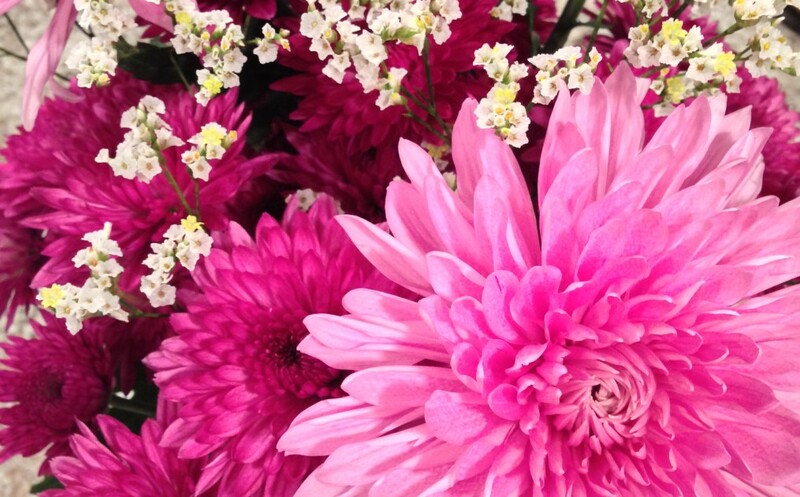 If your plants starts to flower on the top it is “going to seed” or “bolting”. You want to stop this, as this is your plant getting ready to shut itself down and prepare for next year. The rest of the leaves will get bitter tasting, and lose that magical sweet quality. You need to get ahead of the flowering by pinching off the plant a few inches below where the flowering started. The more you use basil the more energy it will put into making delicious leaves for you to use, which is what you want. As I mentioned in the last post, make sure you fertilize your soil however you feel most comfortable to keep the soil in the pot nutrient rich. Yellow and flavorless leaves are often a sign that you need more nitrogen in the soil, which you can replenish regularly with fertilizer. 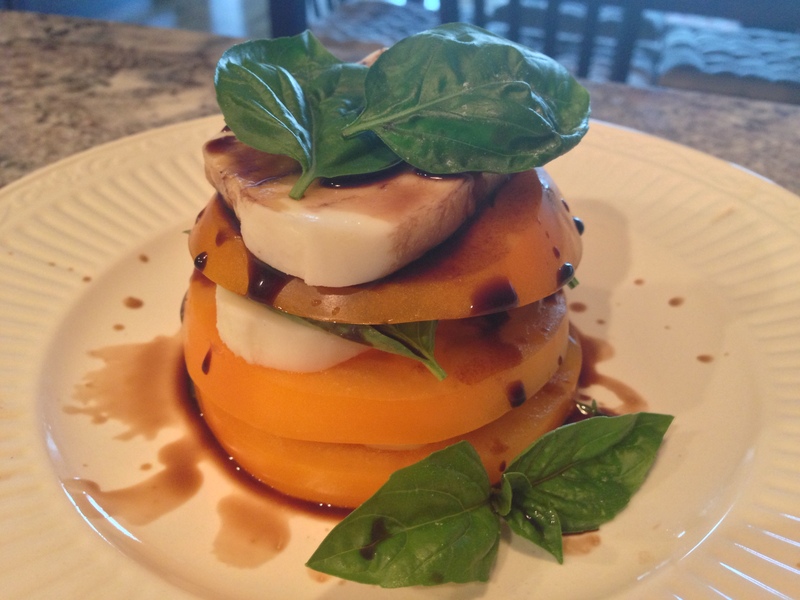 Now that you have a beautiful and healthy basil plant, you can start putting it to work in the kitchen. Basil is extremely versatile, you can add it to salad, smoothies, cocktails, sauces, pizza, fish, poultry, the list goes on and on. You can dry it, freeze it, or make it into a pesto when you start to have too much. I can’t wait to start sharing more recipes with basil over the summer.